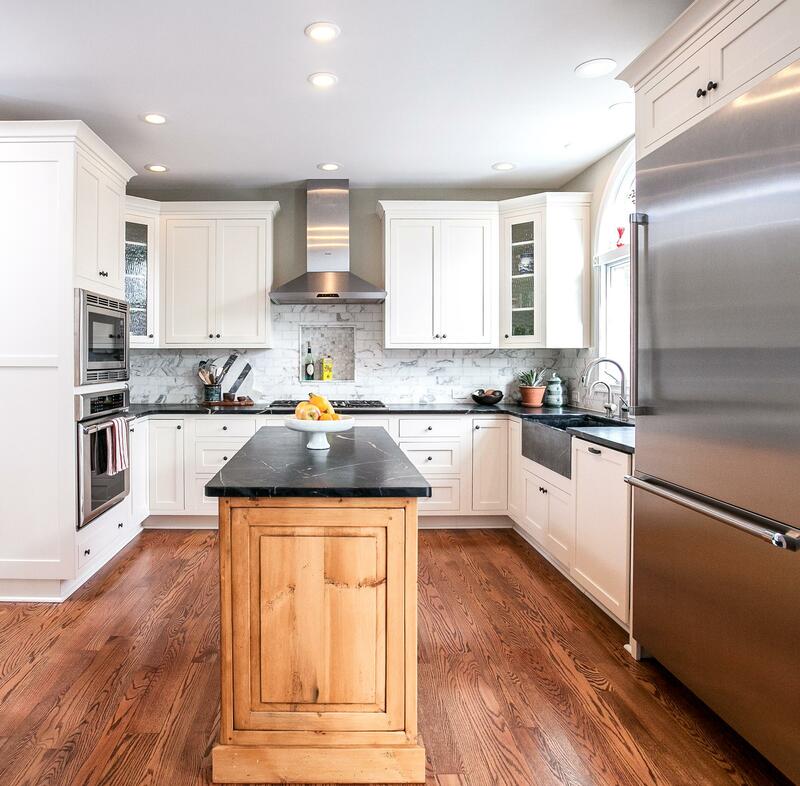 This family takes cooking seriously prompting their request for a functional kitchen that flowed well and was visually appealing. 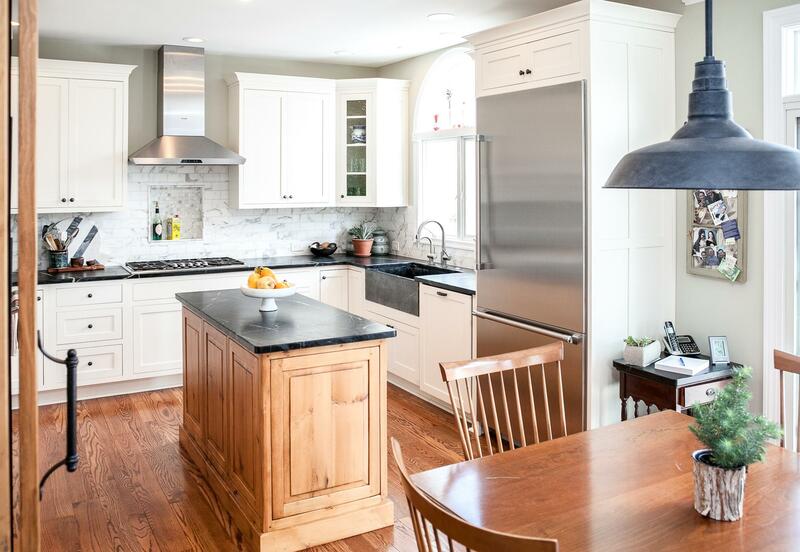 Their old U-shaped kitchen felt cramped and crowded. 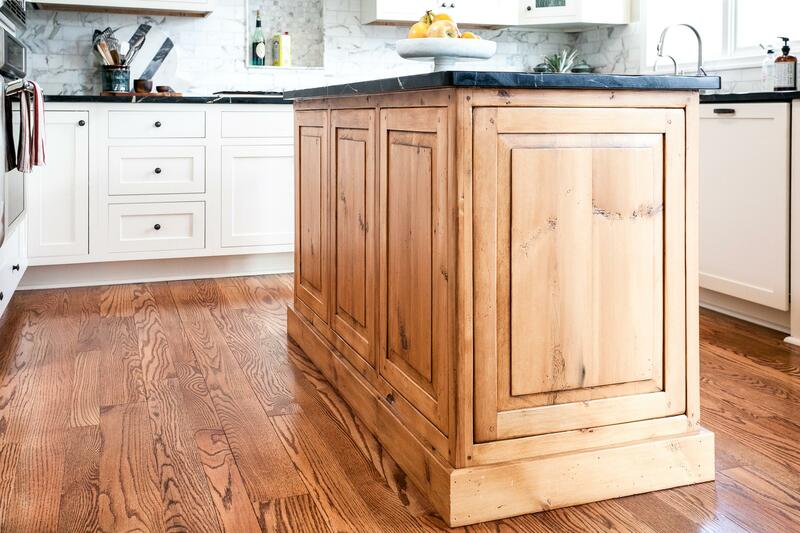 We traded the peninsula for an island providing increased counter space and storage. Organizing accessories, including roll-out drawers, double trash pull out, spice pull outs, and tray storage, made working in this space a pleasure. 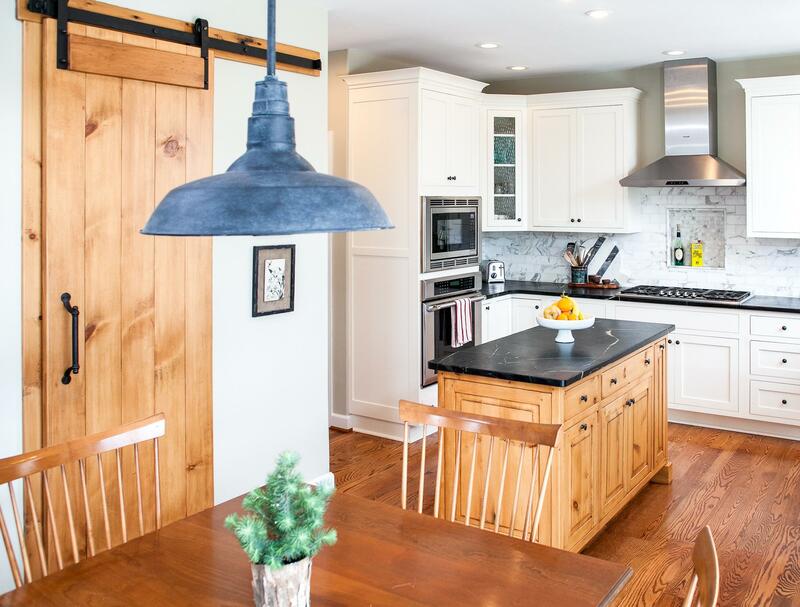 Light, symmetrical perimeter cabinetry created a pretty backdrop for the reclaimed barn wood, antique reproduction island. 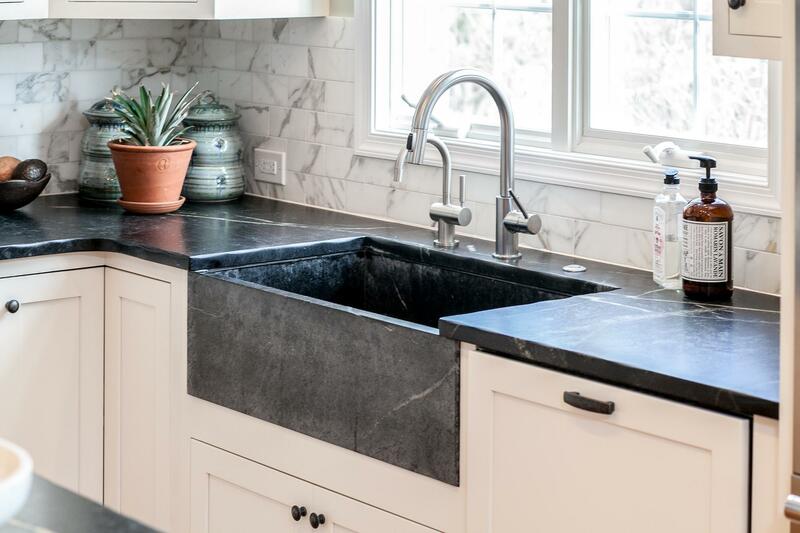 Distressed soapstone united the two finishes with warmth. 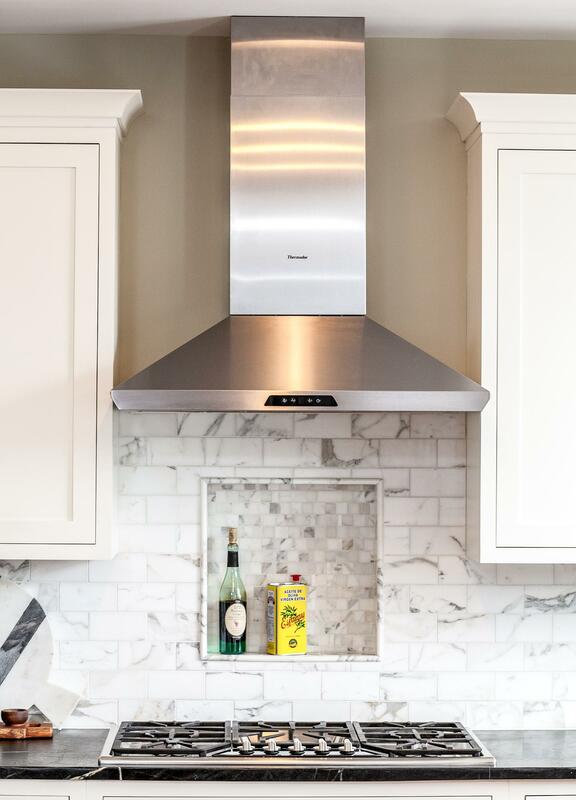 The marble backsplash, with a handy recessed niche behind the cook top, added a classic touch. 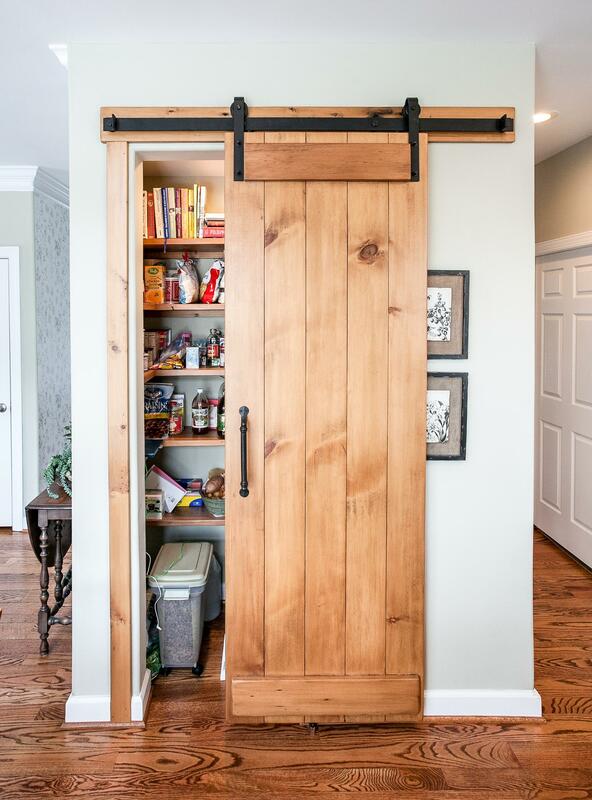 The pantry closet was reconfigured with shelves and a sliding door, also made of reclaimed barn wood. 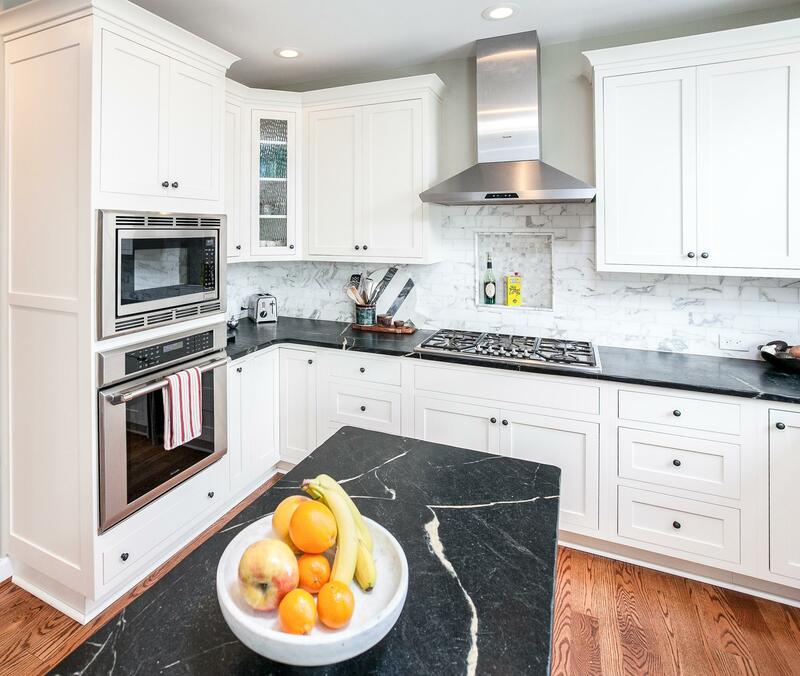 Tucked around the corner, more shaker-style cabinetry served as a beverage area, buffet for parties, and a daily drop spot. "We thoroughly enjoyed working with Jill and her team. She listened intently to our goals and objectives to redesign our kitchen. We look forward to working with her and her team again in the future."